KINSHASA, 14 September 2007 (IRIN) - Measures have been taken to prevent the spread of Ebola following the deaths of at least 160 people in the Democratic Republic of Congo's southern province of Kasai Occidental during the past two months, President Joseph Kabila said. "The village of Kampungu [the worst affected] has been quarantined to prevent population movement towards Kananga," Kabila told reporters on 13 September. Kananga is the main town in the province. "The situation is at the moment, I cannot say under control, but at least the problem has been contained very well in the area," he said. 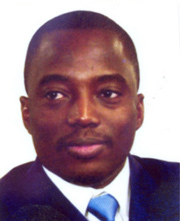 "There is no risk that the whole country will be affected," said Kabila. Health experts had been deployed to Kananga on 12 September, the health minister, Victor Makwenge Kaput, said. This followed the analysis of blood samples from five infected people at the referral laboratory in Franceville, Gabon, the Centers for Disease Control (CDC) in the USA, and the national institute for biomedical research (l'Institut national de récherche bio-medicale), which confirmed the outbreak of the Ebola haemorrhagic fever. According to Kaput, the crisis committee, made up of experts from the World Health Organization (WHO) and the CDC, was conducting investigations to confirm whether all the deaths had been caused by the Ebola virus after cases of shingles and dysentery were confirmed. After the arrival of CDC health experts, local health personnel numbers in the affected areas were boosted, but Kaput said more doctors, epidemiologists, nurses and medical supplies were needed to isolate all suspected cases. "It is necessary that we continue with the action on the ground," said Kaput, who is also coordinating aid donations from WHO and other partners. A health team from South Africa is also expected to join the control operation. Meanwhile, Kaput said an evaluation would be carried out to determine how the epidemic evolved, with two new cases being detected in Kananga, 100km to the southeast. One of the suspected cases was that of a trader from Mweka, one of the worst affected parts of the province. At least 395 people, including the fatalities, have been affected in the province, according to the provincial health inspector, Jean-Constantin Kanow.